This is a thorough list with the best manscaping trimmer reviews. These items are listed according to market ratings, from the highest to the lowest. Hair grows on just about any part of our bodies. There is a lot of hype concerning bushy beards, but that is not the case when it comes to hairs growing on our backs and cracks. As a result, manscaping has become an in thing – a way for men to groom. If you want to trim excessive body hair, it is advisable that you find the best manscaping trimmer. If you are looking for a groomer to shave your back, the MANGROOMER Ultimate Pro Back Shaver easily stands out as the best manscaping trimmer. It has a patented design to allow you to reach your entire back. This shaver comes with two interchangeable attachment shaving heads to let you shave long and short hairs appropriately. 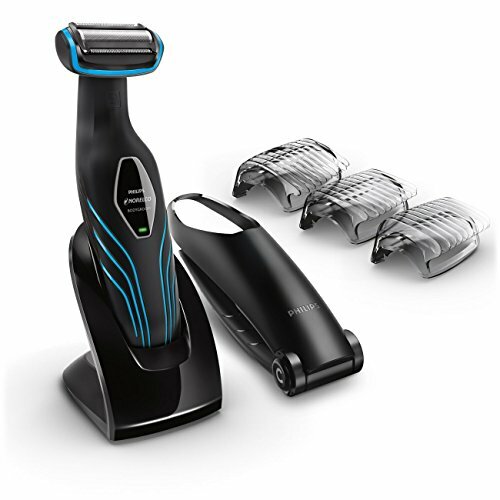 This feature allows the trimmer to deliver a smooth shave. Moreover, it comes fitted with a power burst button to help you shave through coarse and thick back hair. This trimmer also features a quick charge battery that allows you to re-charge it fast and efficiently. It also has a charge light indicator that notifies you of the battery level. Other ideal features on this device are the ergonomically designed rubber handles that allow you to lock it in place at any length. Additionally, the power hinge push lock button allows you to lock the device at any angle. The Shock Absorber Multi-Functional Flex Necks on both its heads allow the device to follow your back curves easily for a perfectly smooth shave. This trimmer is ideal for any man looking to get rid of excessive back hair. Another device that is categorized as the best manscaping trimmer is the Philips Norelco Multigroom Pro Trimmer Series 7500. This device comes with four attachment heads and four combs, enabling you to carry out head to toe grooming. Its capabilities are also enhanced by its 46 integrated length settings. 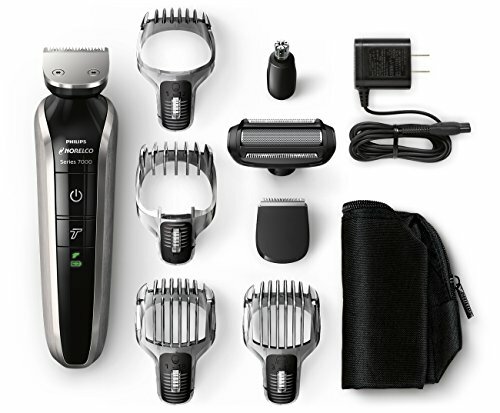 The styling tools on this device include a tube nose trimmer, body groom, detail and eyebrow comb, detail trimmer, full-size trimmer, 18-setting hair clipper comb, 18-setting beard comb, and a 10-setting body comb. Technically, you can use it to get rid of excessive hair on any part of your body. What’s more, its Lithium-Ion battery delivers 1 hour of cordless run time at a voltage of 100-240V. Moreover, you don’t have to worry about its longevity because it comes with a 2-year warranty. This device is ideal for men who have a lot of body hair and those that prefer both wet and dry shaving. This body groomer features Braun technology and is considered one of the best manscaping trimmers available today on the market. It has received the approval of dermatologists as an ideal trimmer even for sensitive areas of your body. You can also check out the best electric razors for sensitive skin. This trimmer includes three combs to provide you with a desirable shaving length. Its ergonomic design allows you to maneuver through your body contours easily when trimming. The Gillette Fusion ProGlide is fitted with Gillette’s most advanced blades to ensure that you trim all the unwanted hair comfortably. This device is not only water resistant but also safe and easy to use. You can rely on it for a clean shave because it includes a precision edging blade. Its package comprises of an organizer, three combs, one battery, a ProGlide Power Cartridge, and a trimmer. This device works well for individuals who like a close shave on the most sensitive parts of their bodies. If you are looking to trim the excessive hair on your body, we recommend getting the Remington PG6170. 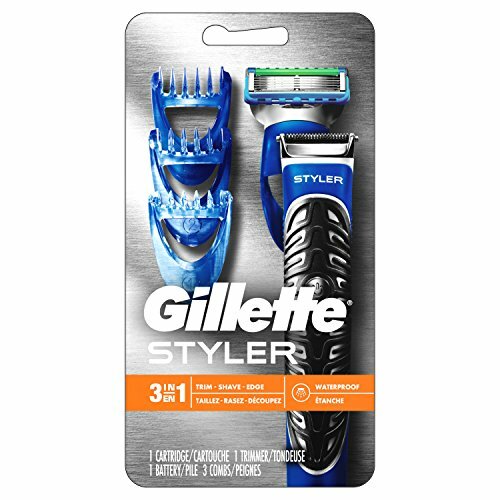 This device has an excellent build with sturdy trimming blades to ensure you give yourself a perfectly smooth shave. One of the most outstanding features on this trimmer is its 5-minutes quick charge that offers you enough power for one shave. Besides the quick charge, it also has an excellent 180-minute cordless runtime when fully charged. Added features on this device are the titanium-coated blades that not only allow precise trimming but also increase the PG6170’s durability. This easy to clean device also lets you shave from the shower because it is completely waterproof. It also has a turbo mode that helps you cut thick hair. The PG6170 is ideal for individuals who have thick hair and those that prefer a wet shave. If for some reason your back hair has been stressing you out, you might consider getting yourself the Philips Norelco Bodygroom Series 3100 to trim it all off. This device is ideal for shaving your back because it comes with a long back attachment. 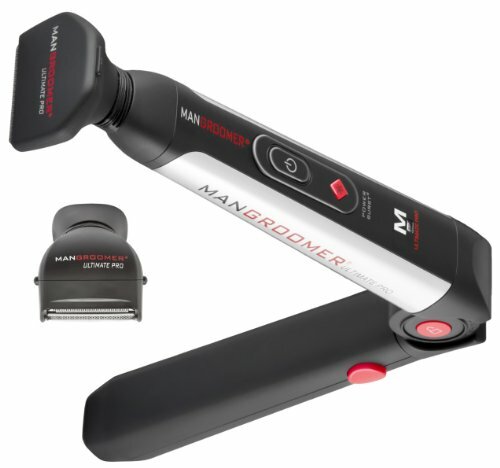 It also comes with three rounded trimming combs that are ideal for shaving any length of hair which makes it the best manscaping trimmer that is also versatile. It also features an ergonomic design to let you shave even the most sensitive parts of your body. Its shaving head is designed to prevent cuts while cutting the unwanted hair from your body. The cordless trimmer can provide you with 50 minutes run time. Its blades also sharpen themselves to give you a precise trim every time. It is good for individuals with thick back hair and those that like shaving their balls. The Remington PG6250 also does a commendable job in grooming to attend any occasion or work. This trimmer is waterproof, and it features five-length combs, a full-size trimmer, and a body hair groomer. It comes with stainless steel blades to ensure that you use it for a long time. One of its most impressive features is the hand loop that lets you hang it easily inside your cabinet. You can use the trimmer for dry and wet shaves using gel, foam, or inside the shower. Its rubber grip ensures that it does not slip, giving you an easy shaving experience. An added feature is the LED battery gauge that indicates the status of the battery. This trimmer is ideal for experienced shavers who prefer a wet shave. We conclude our best manscaping trimmer list with the Philips Norelco Multigroom Series 7100. This is an 8-in-one trimmer that you can always depend on for a clean-cut. It comes with a body groom shaver, a full-size metal guard trimmer, a hair-clipping comb, a body-trimming comb, a stubble comb, a beard comb, a nose trimmer, and a precision trimmer. It is also fitted with 18 length settings, not to mention its turbo power, which allows you to trim through thick hair fast and efficiently. Also, it has rounded blade tips that enhance comfortable shaving and durable, self-sharpening chromium steel blades. Moreover, it uses lithium-ion batteries that deliver a 1-hour run time when fully charged. 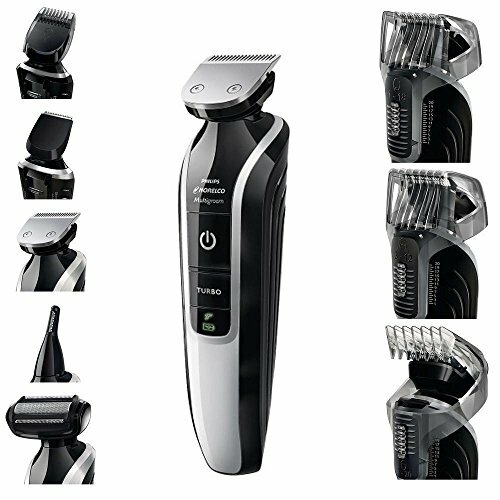 This trimmer is ideal for individuals with thick hair who like grooming from head to toe. The above list should simplify your shopping experience because it features excellent products that can be used for manscaping. You can go over the list to find the best manscaping trimmer for your needs. 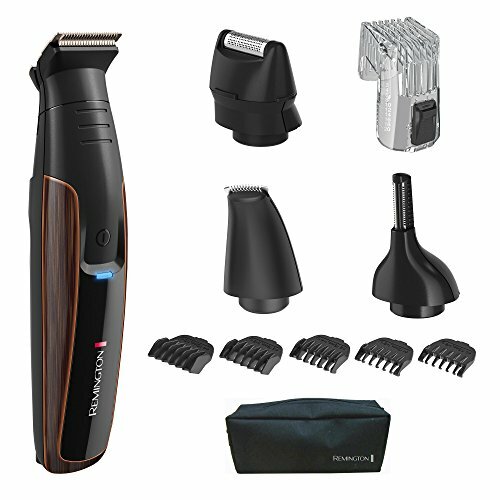 Whether you have thick hair or just like trimming excessive hair from your body, manscaping trimmers will do the job for you. If you’ve used any of the aforementioned devices, feel free to share your experiences in a comment below!